Helliconia: Alien Pole Shift Metaphor? Sometimes you have a forum for saying something important but you aren’t allowed to say it directly for political reasons. One of the highest rated TV shows of all time, M*A*S*H* – was in theory about the Korean War, but was intended (and succeeded) to promote a powerful anti-war message about Vietnam, the war actually claiming American lives when the show aired. 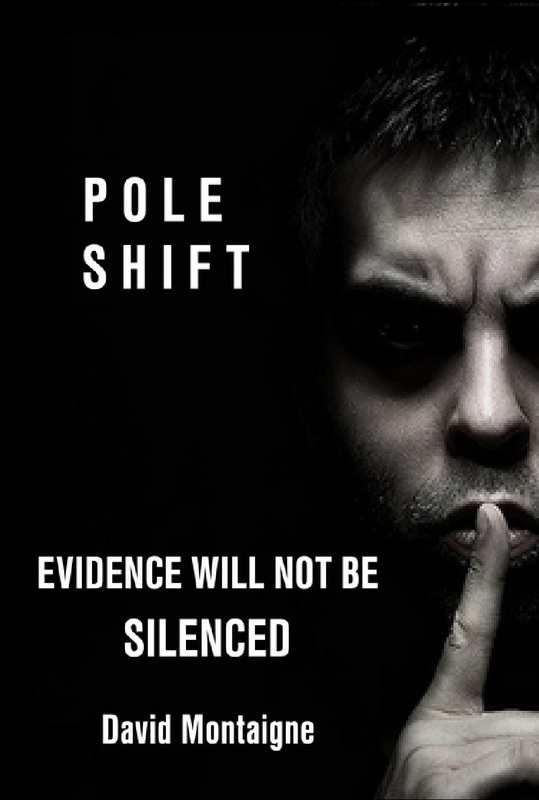 I have pointed out many times that The Adam and Eve Story by Chan Thomas was classified for fifty years, and only partially declassified and re-released in 2016 on the CIA.gov web site – with who knows what information about the next POLE SHIFT left out. What if British author Brian Aldiss, like me, felt he understood the great year, the cycle of pole shifts and ice ages and the rise and fall of civilizations – but didn’t feel he could openly promote the truth? What if he decided that instead of trying to expose a cover-up of pole shifts or prove the existence of Earth’s “Great Year” of a periodic cycle of catastrophes – what if he decided to write and promote a fictional metaphor instead? In the early 1980s, Aldiss started writing a trilogy of science fiction novels about an alien planet called Helliconia. (Similar to the recently discovered exoplanet Kepler 22B.) This world was discovered and observed by human space explorers from Earth, who watched over the planet without interfering from an orbiting spaceship. The planet Helliconia was similar to Earth in many ways, including having a dominant species very, very much like humans from Earth. But Helliconia’s star has a binary companion, and both the planet and the star it orbits have a multi-millenial elliptical orbit around the binary companion star which affects and dominates evolution and the rise and fall of civilization on Helliconia. “Helliconia orbits Batalix, which in turn orbits Freyr.” (Aldiss is no stranger to mythology or ancient traditions… Freyr was a Norse god associated with sunshine, fertility, good harvests, prosperity, wealth, kingship, and human pleasure.) Climate gets much hotter (over many centuries) when close in the orbit to the second star, and gets colder when far from it. A long description of the books: Helliconia Spring, Helliconia Summer, and Helliconia Winter – can be found on Wikipedia. 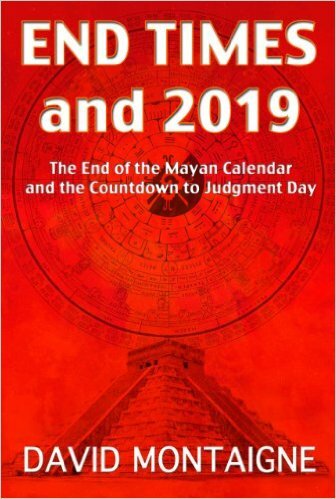 I must correct the person writing the nice book review: the orbit of Batalix around Freyr is not 10,000 years but 2,592 years – and this detail is crucial to appreciate – because Earth’s own “Great Year” – our cycle of the precession of the equinoxes is estimated to last between 25,800 and 26,000 years. Plato and other classical figures considered a half cycle to be of great importance and put it at 12,960 years; the full cycle of precession at 25,920 years. This is exactly ten times longer than the very specific 2,592 years for Helliconia. I cannot assume this is a coincidence. My research suggests that, in the tradition of the Greek belief in Epyrosis and Kataklysmos – cataclysms by alternating world ages of fire and ice devastate the Earth every 12,960 years – one half cycle of 25,920 years. In Aldiss’early short story The Interpreter, “Earth is just a lesser-than-third-class colony ruled by a Nul tyrant whose deceiving devices together with good willing but ineffective attempts of a Nul signatory to clarify the abuses and with the disorganised earthling resistance reflect the complex relationship existing between imperialists and subject races which Aldiss himself had the chance of seeing at first hand when serving in India and Indonesia in the forties.” Wikipedia moderators clearly recognize Aldiss’ use of science fiction as social commentary about real problems on Earth. It makes me wonder if Aldiss’ multi-millennia cycle of Earth Helliconia-changes is meant to reveal the truth about our own history of pole shifts on Earth… If the binary companion star Freyr represents our own sun’s possible binary companion (Nemesis? Sirius?) and if the Earthlings (so much like Helliconia’s own humans) that watch benevolently over Helliconia from their orbiting observation post (the Avernus) represent very similar aliens, or even some breakaway human civilization distantly related to us – watching over Earth from above – do we have “overseers” we aren’t all aware of? Thanks Zod. I like this post more than most and would never have looked into it if not for the comment made a few weeks ago. Interesting that Aldiss uses a factor of ten for his great year. That’s pretty much his ‘knowing wink’. I would still point out that our great year is 24,000 solar years. The figure of 25,920 only arises by extrapolating the current rate of precession (as if into a circular orbit), whereas the former shorter duration arises if you realise our Sun’s orbit about its binary is elliptical (and The Sun is currently furthest away from its companion, at the pointy end of the ellipse). Freyr is Freya’s brother. Freya is the Norse version of Venus (hence Friday = Freya’s day). Venus is known as the morning star, and so is Sirius (rightly or wrongly). Cryptically: Freyr -> correlate of Freya -> Venus -> ‘Morning Star’ -> Sirius. I think that’s a stretch, but sometimes we’re all guilty of the occasional over-reach to make our favorite points. Well, if Aldiss is engaging in ‘revelation of the method’, he is likely to have chosen Freyr as an oblique reference to The Sun’s binary partner. Batalix is Helliconia’s sun and would somehow correspond to The Sun, though ‘batalix’ doesn’t seem to have any solar cognates. However, the word ‘Helliconia’ clearly indicates something to do with Helios, e.g. ‘consort of The Sun’. Freyr is the twin brother of Freya/Freyja, whose name is derived from Norse and German words for lady/mistress/bride… The twin nature of the bride could suggest a binary companion. I am unsatisfied with my attempts to decipher any solar or cosmic meaning from Helliconia’s main sun “Batalix.” I have broken up the word into parts, I have tried to find similar words in Latin, Greek, Hebrew, and other languages… I have reversed it and compared to words and place names starting with X in Inca, Aztec, and Mayan regions… I have considered the similarity to the word “basilisk” – literally Greek for “little king” and a reptile also known as “the Jesus lizard” for running on water. But my best guess is that “Batalix” comes from “Batalik” which is a strategic town and the site of many battles on the India/Pakistan border. When Britain left the subcontinent in 1947 and Muslim Pakistan broke off from Hindu India the border wars along the line including Batalik left approximately 1 million dead and 14 million displaced… And Brian Aldiss was stationed in India in the 1940s. The prefix “Heli-” definitely could refer to Helios and our Sun. The suffix “-conia” could be an abbreviated version of “-conial” which just means of or pertaining to whatever root word came before it. Conia or Ciconia means “stork” in Latin; the stork is known as a bringer of newborn babies and therefore Helliconia could be a clever way to say “born of the sun” or “sun-born” or even “children of the sun” as the Inca and many other ancient cultures described themselves. My point in referencing this is that Gorky was clearly describing current conditions at home, while allegedly describing a cholera epidemic. Aldiss is nominally describing an alien planet and star system, yet he may very well have been describing Earth and our Sun, and hinting not just at pole shifts and our precession cycle but also at a binary solar companion. So I will also point out that your (Zod’s) favorite contender for a secret binary companion of our sun is the star Sirius, the “dog star” or Canis Major. If the jump from Sirius to Morningstar to Venus to Freya to Freyr was acceptable to you, then the minor changes from -conia to -cania to Canis could easily suggest that Helli-conia could be derived from Helio-Canis and that sun-dog or star-dog or dog-star could be a reference to your beloved Sirius, with all its symbolic meaning as the astronomical embodiment of Isis, consort of Osiris, the Egyptian god whose death allowed rebirth of a new world age. There is possibly a more direct connection from Freyr to Sirius than via ‘Morning star’, and it may require greater knowledge of Norse mythology and how those gods related to celestial bodies – something for the author of Hamlet’s Mill. I find your Batalix->Batalik correspondence quite plausible, especially as Aldiss is reported to have experienced fighting in India and Burma in WW2. However, perhaps he knows the meaning/etymology of Batalik and it may have another clue? Sirius is known as the dog star because it dogs the Sun (in a binary orbit, qv Vesica Piscis). The constellation (necessarily varying over the millennia) obtains its name from Sirius, not vice versa, but they will ‘join the dots’ into a dog to beguile the ignorant. Sirius is my ‘Favourite contender’ perhaps, but I wouldn’t go so far as to say ‘beloved’. It’s just that all the evidence points to it. I don’t think Helio + Canis works at all. Conial->conia perhaps. However, a classics specialist is probably required to explain the meaning of heli+conia. This may also explain its use for the plant and moth/butterfly*, e.g. if it meant something like ‘Consort of The Sun’. Perhaps you are on the right track with ‘stork’. Perhaps ‘conia’ means bringer/envoy, which would then suggest heliconia may connote ‘Bringer of The Sun’. Perhaps as in Lucifer? Which amazingly then leads us straight to Venus (morning star) – as well as to Satan (from Set/Sothis/Isis/Sirius). And then Freyr is the brother of Freya/Venus. Hmmm. This is all a bit confusing, like Isis/Osiris/Horus, etc. It’s worth considering that Aldiss may have been imagining things from the opposite perspective, that his planet Heliconia was in orbit about Sirius (Batalix), and that the distant binary star was The Sun (Freyr)? However, that doesn’t seem to provide an improved correlation. In any case, if Aldiss was allegorising and using norse/greek/hindustani as clues, then presumably he’d do it from a terrestrial perspective. On the theory that Venus is properly the name of The Sun, that the 2nd planet is merely named after it, then ‘twin brother of The Sun’ could be a better, more direct interpretation of Freyr as naming The Sun’s binary twin. How you get from that to Sirius is another matter.